The unveiling of Klingons in Star Trek Into Darkness gave further indication of how modern Trek might expand upon classic alien designs, so might CBS’ upcoming Star Trek: Discovery do the same? An apparent leak from the set purports to show Klingons looking very different than we’re used to, potentially shaking up continuity in the process. 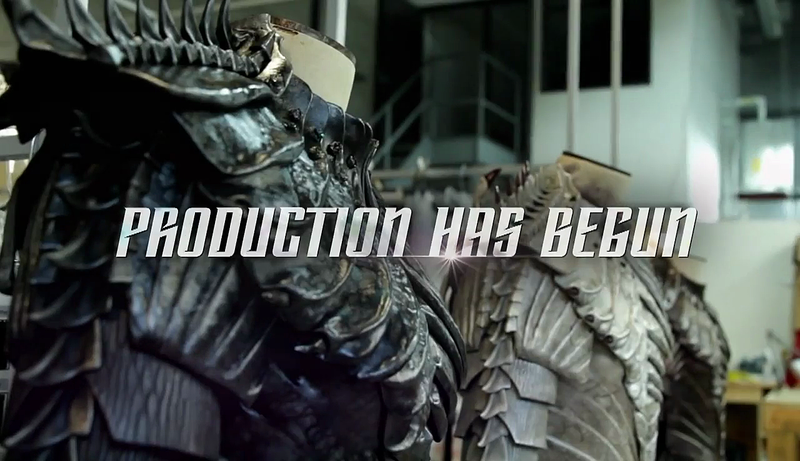 Keep in mind that leaks are in no way a guarantee, though it seems a Star Trek: Discovery actor briefly shared a snap from the set of what he claimed to be a Klingon crew, outfitted in costumes shown during the recent production teaser. We can’t show you the photo itself (head on over to TrekMovie for that), but the aliens in question are observed to have much spinier heads than traditional Klingons, extending all the way out and over the back of their bald heads. It’s of interest to think how Discovery might adapt the classic Trek canon, given the series is said to take place in the prime timeline ten years before Kirk and Spock’s adventures. Obviously, producers want to contemporize and flesh out some of the more simplistic set and alien designs of the ‘60s, but that could mean following the rebooted films’ lead with an upgraded aesthetic. And yes, it’s worth remembering that Klingon appearances have been redesigned and retconned before, as the original Star Trek films designed much more alien-looking ridged makeup than was previously featured on TV, leaving subsequent series to explain away the difference as victims of a “Klingon augment virus” that dissolved their ridges. Either way, we should be seeing more Star Trek: Discovery designs in the coming weeks and months, especially as production warps toward a possible May premiere. Check out the teaser again below, and stay tuned.